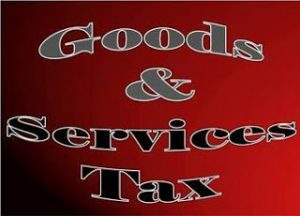 Ever since its enactment the Goods & Services Tax (GST) Act has been through several amendments. It leaves even the most seasoned professional perplexed at times in terms of what was law in the previous month, what is valid in the current month and what will change in the next. 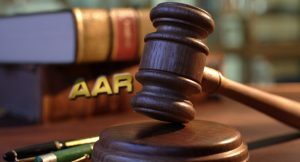 In between there are rulings of the GST Authority for Advance Rulings (AAR) and Appellate Authority for Advance Rulings (AAAR) which add to the confusion. Recently Tamil Nadu AAR has ruled that conducting the Marathon event by a charitable organisation called ‘Dream Runner Foundation’ is not an “exempt supply”. Marathons are popular all over the world and now even all over India. These events not only bring people together but above all else, resources are mobilized for various charitable organisations, big and small. The Mumbai Marathon is among the top ten marathons in the world. The ‘philanthropy partner’ for these marathon events is usually a charitable organisation (registered either as a trust, society or section 8 company) and which promotes and facilitates fundraising using the given city’s marathon platform and disburses donations raised to respective participating NGOs. These ‘philanthropy partners’ who organize the marathon charge registration ‘fees’ to the participants. Corporates also support such events with banners and logo display as ‘sponsors’. Unfortunately, this model exposes them to the risk being deemed as a “supplier of service” which is not in the exempt category under GST. Very recently the Tamil Nadu Authority for Advance Ruling (TN AAR) has ruled that since the aggregate turnover of one such philanthropy partner (Dream Runners Foundation) crossed the threshold limit of twenty lakh rupees, GST would be applicable regardless the proceeds being donated to charity. Dream Runners Foundation is a registered charitable trust with charitable objects and carries out various charitable programs and activities. It is also registered u/s 12AA of income tax and therefore tax exempt and has certificate u/s 80G which entitles donors to tax deduction. The principal objects of the Trust as per the Trust Deed is to organize events like Marathon, Blood Donation Camp, Organ Donation Camp, Eye Donation Camp, Health Awareness Camp etc., and utilize the funds raised from such events for charitable cause like funding to Non-Governmental Organizations (NGOs), Hospitals, Trusts and other Charitable Organizations. Every year since 2012, the trust organizes and conducts a marathon event named ‘Dream Runners Half Marathon’. The event involves collecting donations from the participating runners and also money pooled in through corporate donations for the event. The amount so received is utilized for the conduct of the event that includes permit and approval fees, fees paid to the government authorities, expenses for the conduct of the event that includes prize money for the winners and the balance left is paid as donations to the NGOs supporting the cause or directly to the beneficiaries. AAR has taken the view that as per Section 2(31) of CGST Act, “consideration” in relation to the supply of goods or services or both includes any payment made or to be made, whether in money or otherwise, in respect of, in response to, or for the inducement of the supply of goods or services or both, whether by the recipient or by any other person but shall not include any subsidy given by the Central Government or a State Government. The money collected by the charitable trust from the participants in the Marathon was used for the expenses of organizing the marathon in terms of paying the registration partner, event management charges, prize money, publicity, other organizing expenses such as T-shirts, banners and other related materials etc., as seen in their balance sheets. Thus, AAR has concluded that the money collected from the participants “is a consideration towards the supply of service of organizing and conducting the marathon for the participants and the same is liable to GST”. Further, although the trust is registered u/s 12AA of Income Tax “only those activities of such an entity are exempt from GST which qualify under the definition of “charitable activities” given in the CGST and SGST Notifications of June 2017. Thus, according to AAR, the conduct of Marathon event by the trust for participants is a not an exempt supplyunder CGST/TNGST Act and since the trust is providing “taxable supply of services” and has aggregate turnover in a financial year exceeding twenty lakh rupees, the trust is required to be registered under CGST/TNGST Act. With effect from 1st April 2019, the threshold Limit for registration in case of goods (allover India) except persons engaged in making supplies in the state of Arunacahal Pradesh, Manipur, Meghalaya, Mizoram, Nagaland, Puducherry, Sikim, Telengana, Tripura, Uttrakhanad has been raised from Rs. 20 lakhs to Rs. 40 lakhs. This may provide some relief to charitable organisations which supply intra-state goods or products made by their beneficiaries. However, threshold Limit for registration in case of Services except persons engaged in making supplies in the state of Arunacahal Pradesh, Manipur, Meghalaya, Mizoram, Nagaland, Puducherry, Sikim, Telengana, Tripura, Uttrakhanad remains Rs. 20 lakhs. Threshold Limit for Registration in case of Goods & Services engaged in making supplies in the state of Arunacahal Pradesh, Manipur, Meghalaya, Mizoram, Nagaland, Puducherry, Sikim, Telengana, Tripura, Uttrakhanad remains at Rs. 10 lakhs.